GOLD COAST PORCELAIN TILING The majority of tiles these days are porcelain. 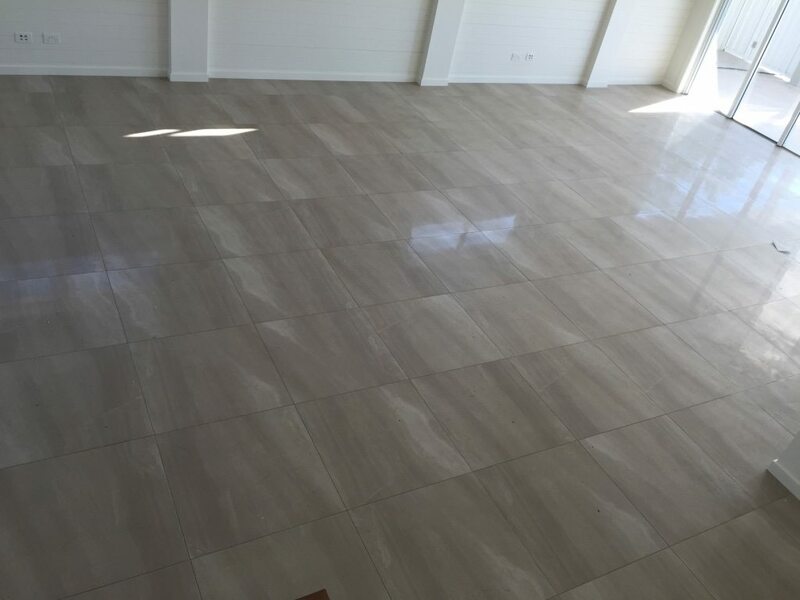 Our Gold Coast Porcelain Tilers specialise in laying Porcelain tiles. 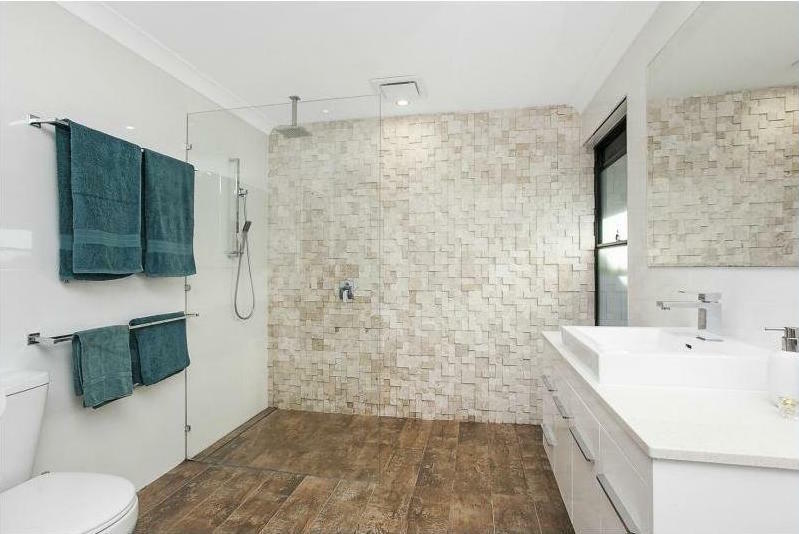 Porcelain tiles can come in … Read more..
GOLD COAST BATHROOM TILING Your bathroom is one of the features of your home. You spend a lot of time there! 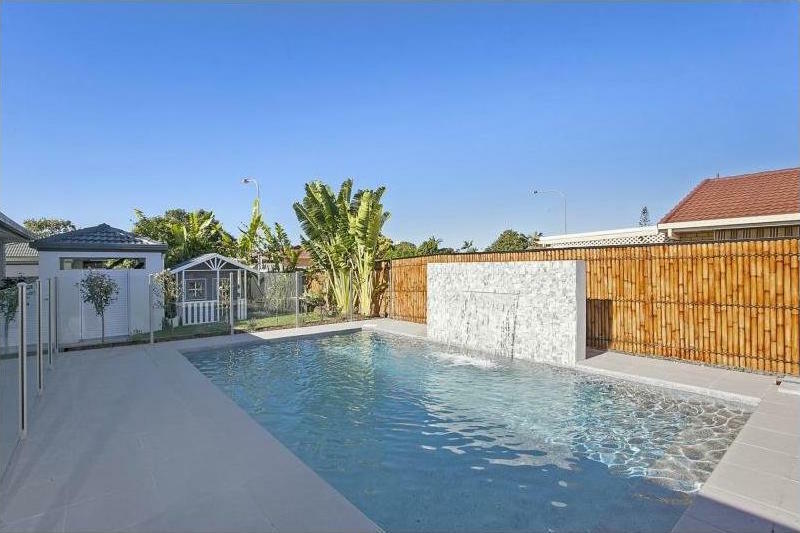 The tiling aspect is very important because it is the first … … Read more..
GOLD COAST OUTDOOR HOME TILING Summertime barbecues, swimming with the kids in the pool, entertaining friends. Create an entertaining area that wows guests and makes you … Read more.. 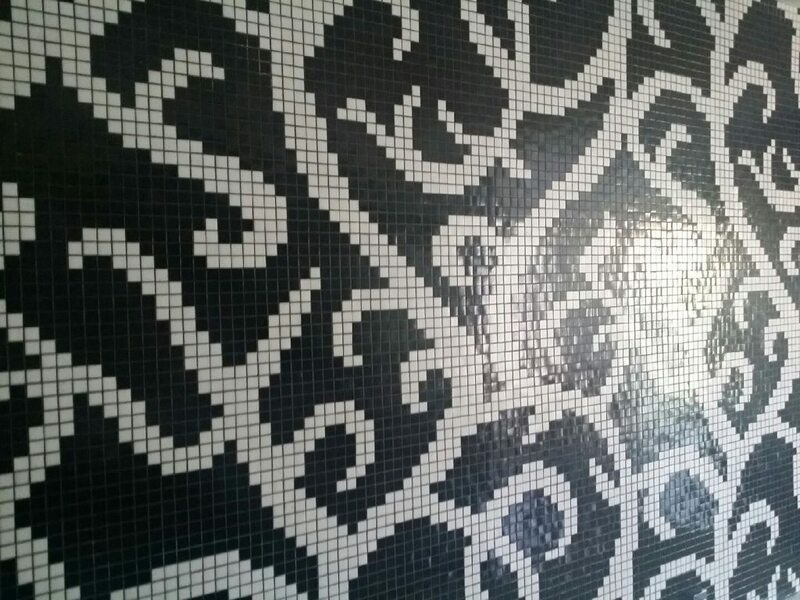 Locally owned and operated, we provide a professional, reliable floor & wall tiling service. 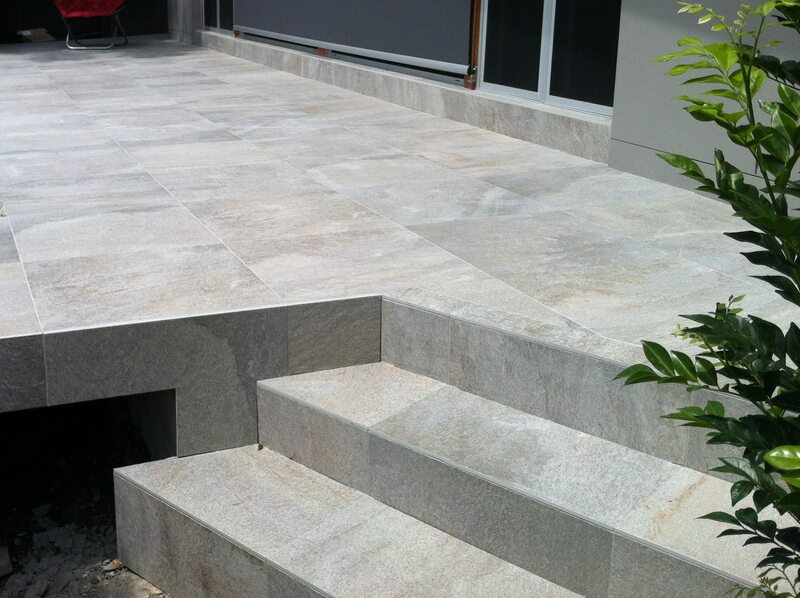 Straight Edge Tiling consists of a team of experienced, friendly, certified tilers. 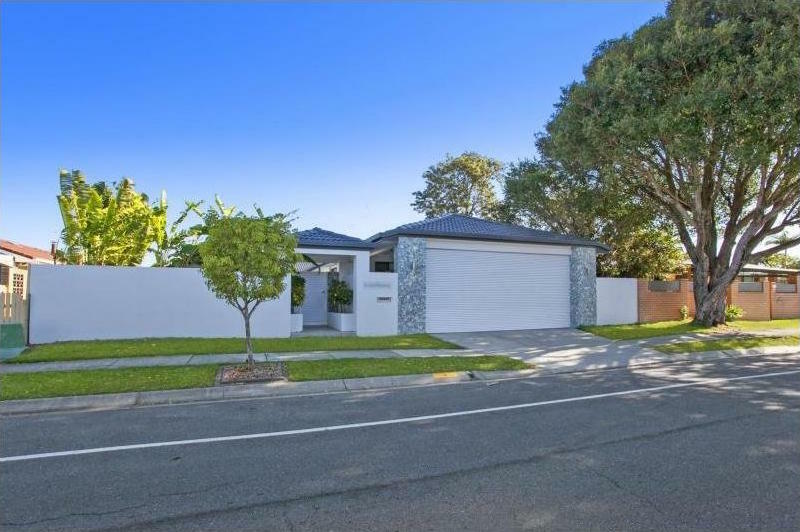 Gold Coast & Tweed Heads has been where straight edge tiling has forged a reputation as a leader in tiling services over many years. We are fully licenced and insured, and pride ourselves on attention to detail, cleanliness and punctuality. WHY CHOOSE STRAIGHT EDGE TILING? 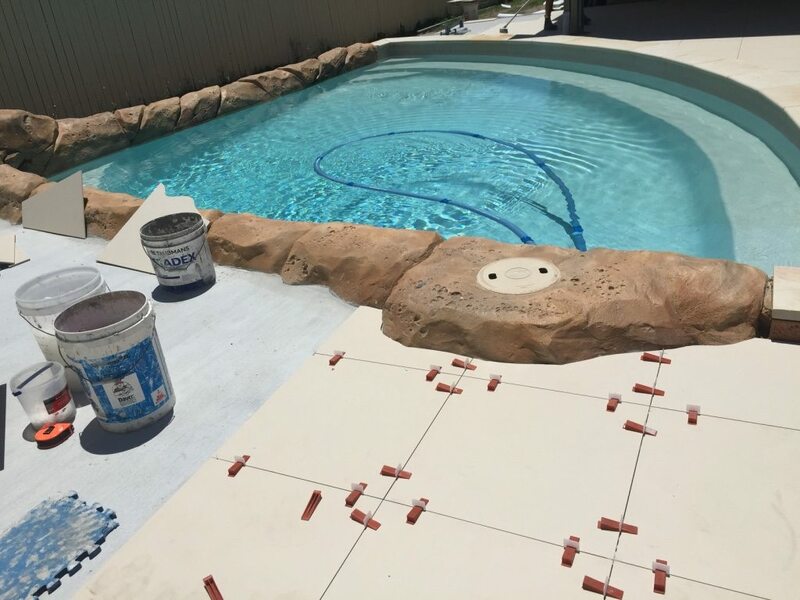 The end result of your tiling experience is crucial to us as, whether it be your living room, bathroom, kitchen, outdoor entertaining area, pool or any other area, the end result will be on display for both you and your visitors. With this in mind, we take pride in our work in order that you are happy with the outcome. 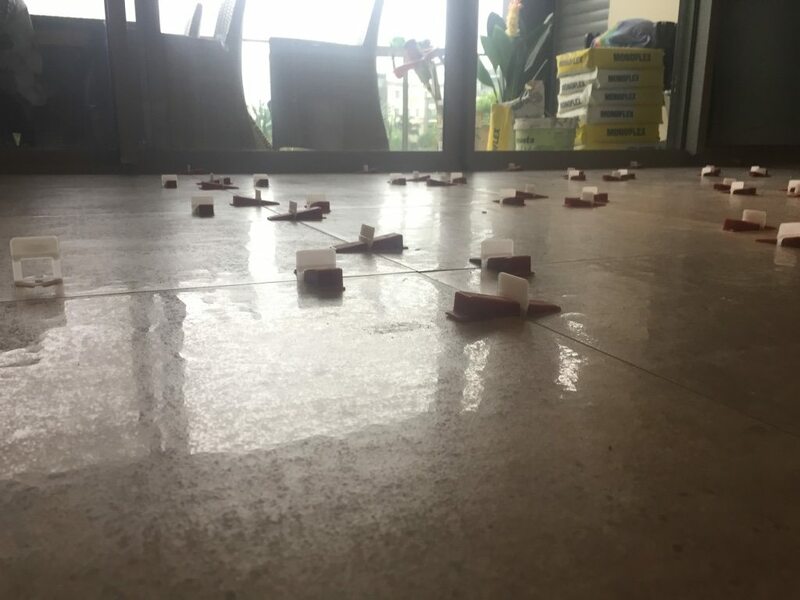 Straight, consistent grout joints and no lippage of tiles are very important factors, and are especially important when laying rectified edge Porcelain Tiles. 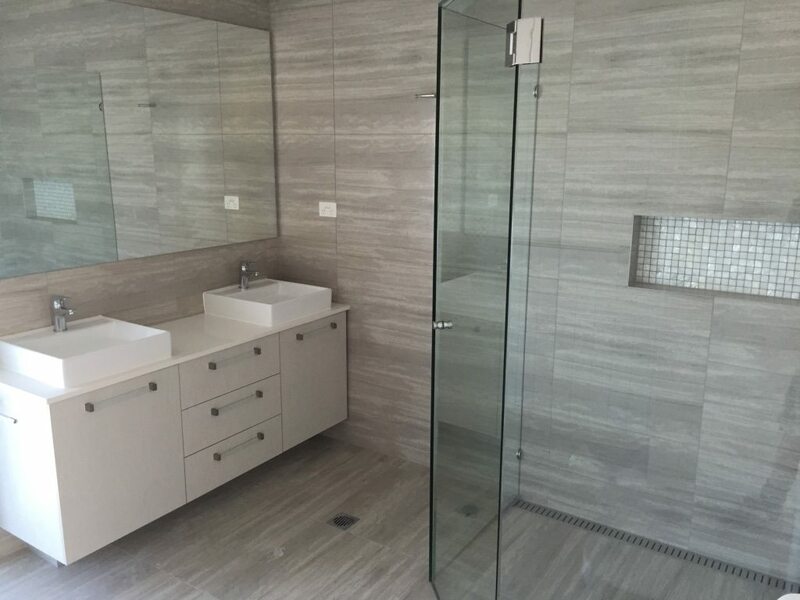 We specialise in Porcelain and Polished Porcelain tiles, in particular 600mm x 600mm, and larger sizes (see our Porcelain Tiling Page for more information and pictures). 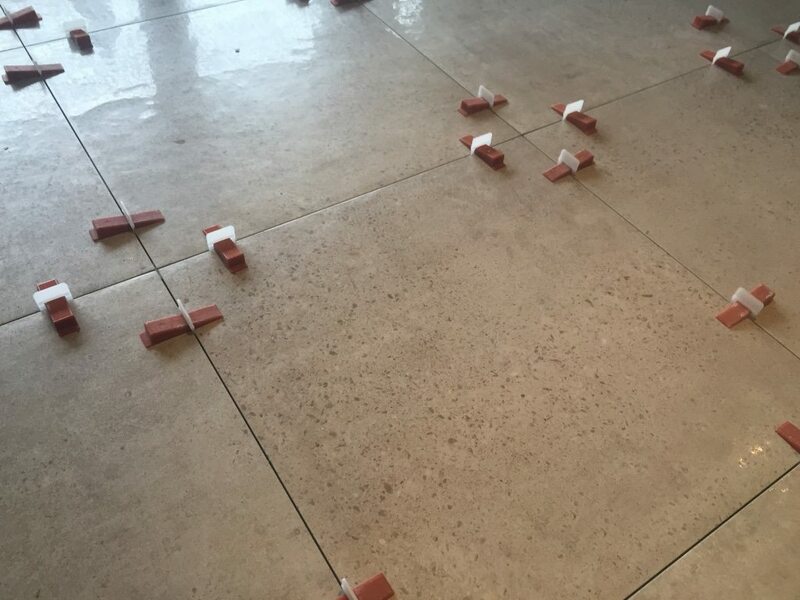 When laying these tiles we use a non-lippage levelling system (as shown in the pictures below ) to ensure all tiles are flush on all edges, eliminating those eye-catching lips that can ruin the finished product. We also pride ourselves on being clean and punctual. We believe in leaving a job the same way as when we started it, cleaning up all rubbish and providing a non-hazardous environment whilst on the job site, ensuring all tools are in a secure place. Reliability is equally important. We have all heard horror stories of tradesmen either not calling back, not turning up on time or not turning up at all. If we say we will be there at a certain time, then rest assured we will be there. 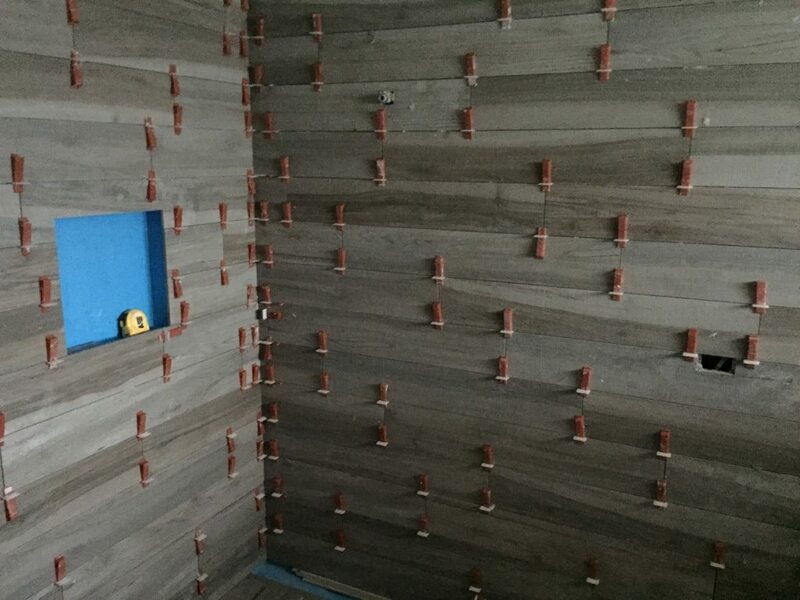 When building your new home one of the first things people notice is the tiles. We can provide new and innovative ideas, from your main living area, bathrooms and ensuite, to your laundry or outdoor areas. Renovating can be daunting. Let us make it easier for you by providing our expertise. We can provide useful information on tiling over existing tiles, removing existing tiles, and choosing an appropriate tile for your project. 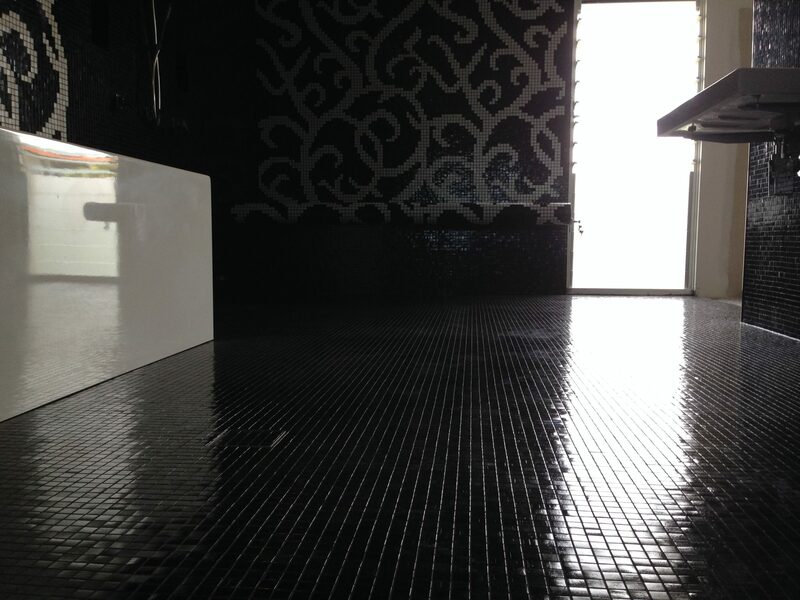 Tiling is arguably the most important aspect of a bathroom. It is the first thing you notice when you enter a bathroom or ensuite, and can make or break it. 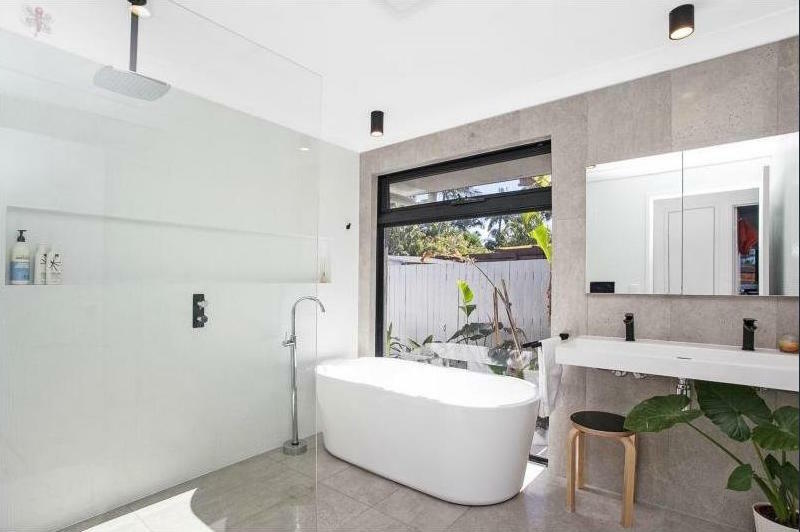 We have much experience in new and renovated bathrooms, and can offer advice about waterproofing, moving toilets/vanities/showers to another area of the room, drainage and modern tile ideas. 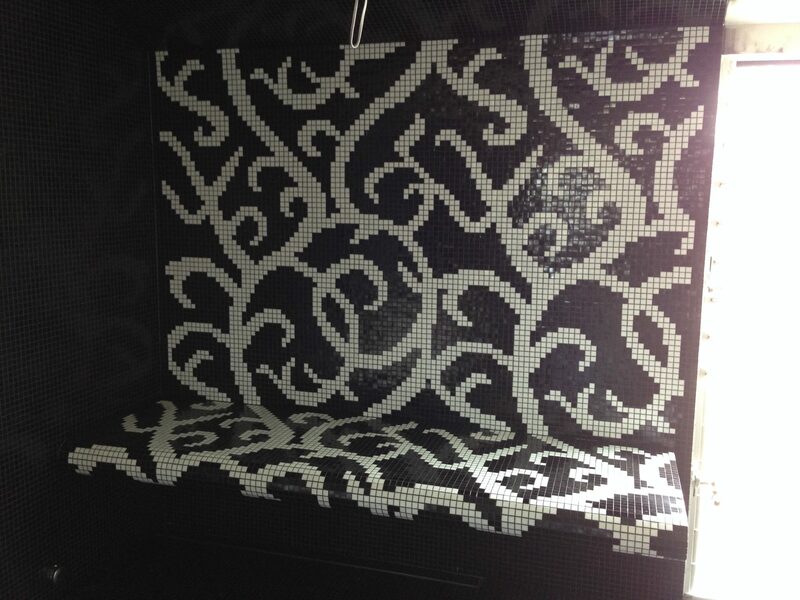 See our Bathroom Tiling Page for more information and pictures.